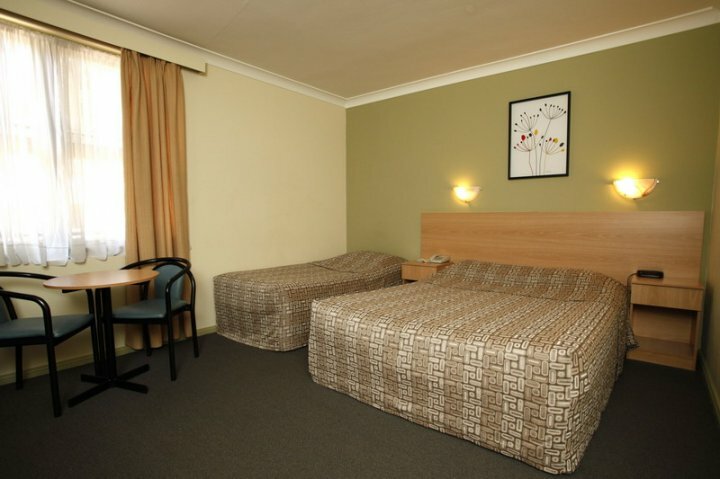 With 10 room types, we cater for everyone, from individuals to groups or families. 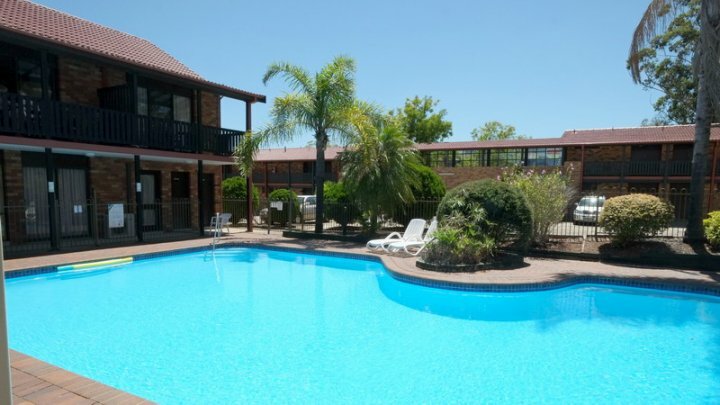 Our on-site facilities include, outdoor salt water pool, conference room for up to 30 people and guest laundry. 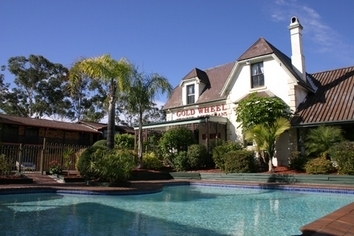 Onsite, the Gold Wheel Chinese & Seafood Restaurant is open every nights for dinner. 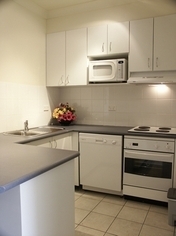 A large menu comprising of Australian, Seafood and Chinese dishes are available. 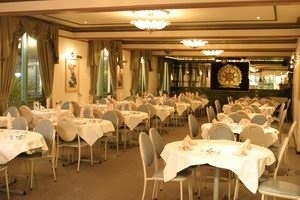 Gold Wheel is one of the most popular dining spots for those who enjoy authentic Chinese cuisine. It boasts one of Hong Kong's finest chefs as well as many highly experienced Chinese cooks. 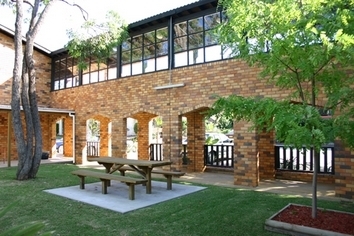 The restaurant combines classy decoration inside, is surrounded by bushy gardens and has a poolside atmosphere outside. The bar is a fully licensed cocktail bar. 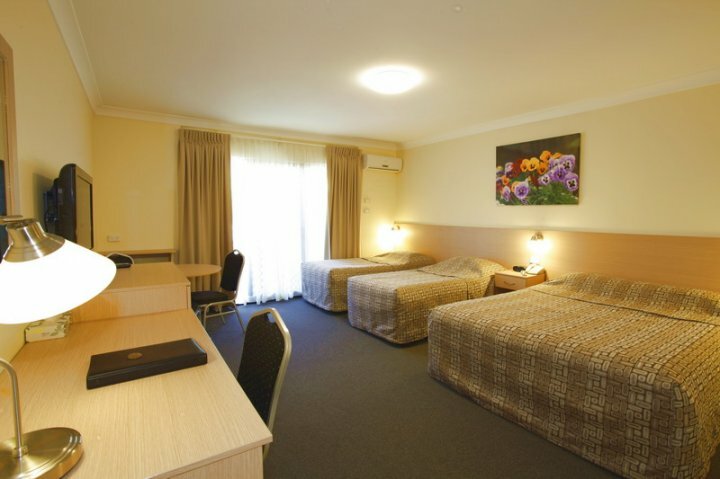 Free wireless internet for every room. 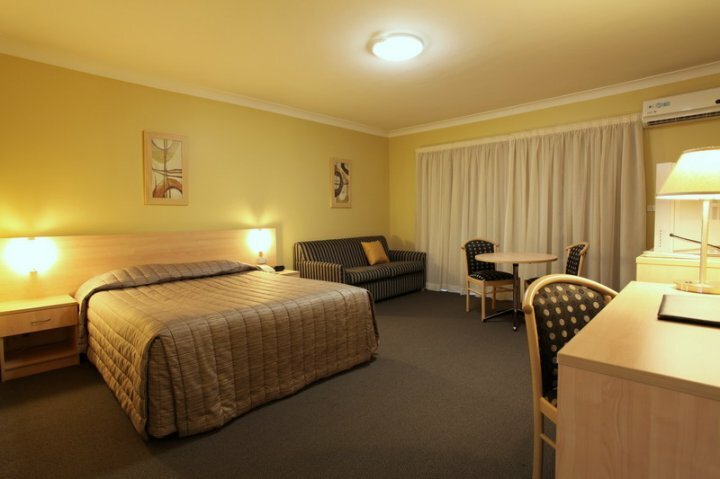 We have an Overhead Projector, Screen, VCR, DVD and 31" TV located in the room at all times for no extra charge. Any other equipment you require we are happy to organise for you. 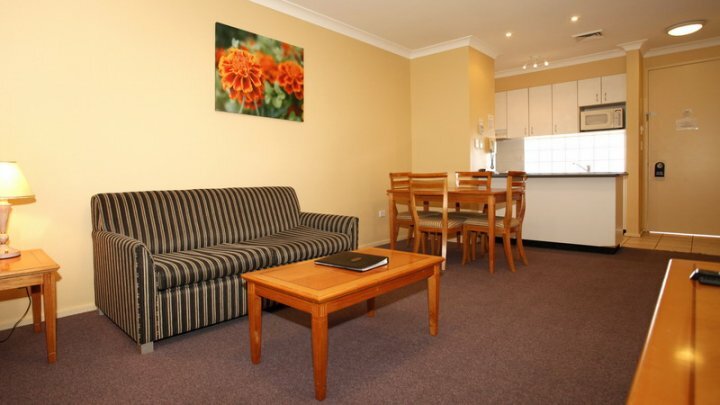 Check In time is from 1pm, guests are required to have identification and may be required to pay a key deposit. 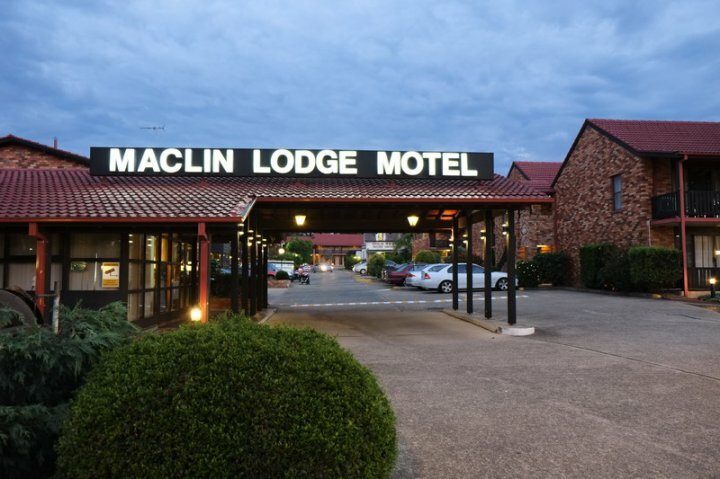 Guests can check in after 10pm up until midnight (please contact the motel if arriving after 10pm) - they will need to ring a night bell located at reception doors for entry. Check out time is by 10am. Off street car parking is available free of charge. Exit the Hume Hwy at the CAMPBELLTOWN EXIT onto NARELLAN ROAD - Turn RIGHT. TURN LEFT at third set of lights into HURLEY ST - just over railway line. Follow past Station around to the right. TURN LEFT at Lights into Queen Street. We are on the Right hand side opposite Clinton's Toyota, just past the next set of lights. Upon exiting the airport stay left then turn LEFT at the large intersection onto QANTAS DRIVE. Continue following in a southerly direction - following signs to the M5 motorway. You will come to a set of lights where there are two right hand turn lanes leading into a tunnel / M5. Follow M5 all the way - at Moorebank Ave the M5 actually becomes the Hume Hwy - you do not need to move from the road you are traveling on. Take the Campbelltown Rd, Campbelltown Exit. Stay on this road and follow through apx.3 sets of lights. Road will go over the railway tracks as you can see - at the set of lights just over the bridge - turn RIGHT. This is Queen Street. Continue apx 500metres - you will see Clintons Toyota - Car Dealership on your right - we are just on your left. Reception is close to the road and you can't miss our 2 driveways. 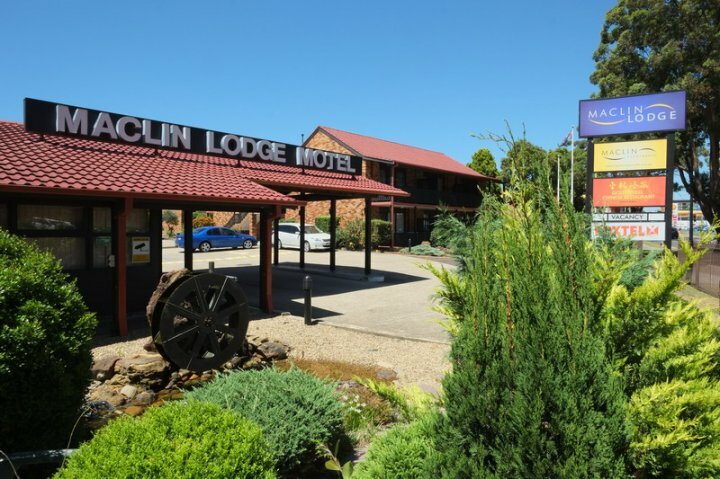 There are plenty of attractions in the Macarthur area, including Heritage walks, bush walking, gliding, hot air ballooning, horse riding, shopping at Macarthur square with over 100 specialty shops, cinemas, go karting to name a few.